GoClass is a excellent mobile learning solution that is redefining classrooms worldwide. 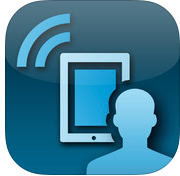 This fantastic simple to use combo web tool/mobile app (Android/iOS) allows educators to create and manage student accounts, while sending them engaging lessons to complete on their mobile device. This is ideal for Guided/Blending Learning and Flipping a Classroom. Also, GoClass allows educators to assess student data in real-time and differentiate instruction.